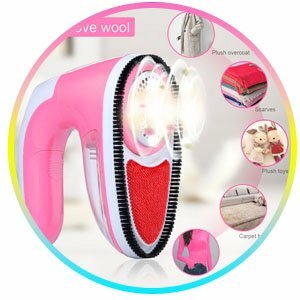 ◆ 3 in 1 Multi Function: Quickly and easily shave / electrostatic adsorption/ brush fuzz, lint, pills from fabric and good for sweaters, wool, flannel and knits. 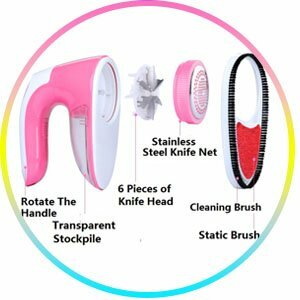 Static brush and removable clean brush makes it be a most powerful lint shaver. 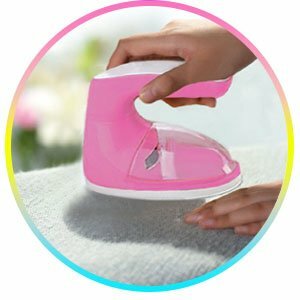 ◆ Detachable lint catcher and comfortable grip handle.Large suction box, clear all lint in Your clothes! 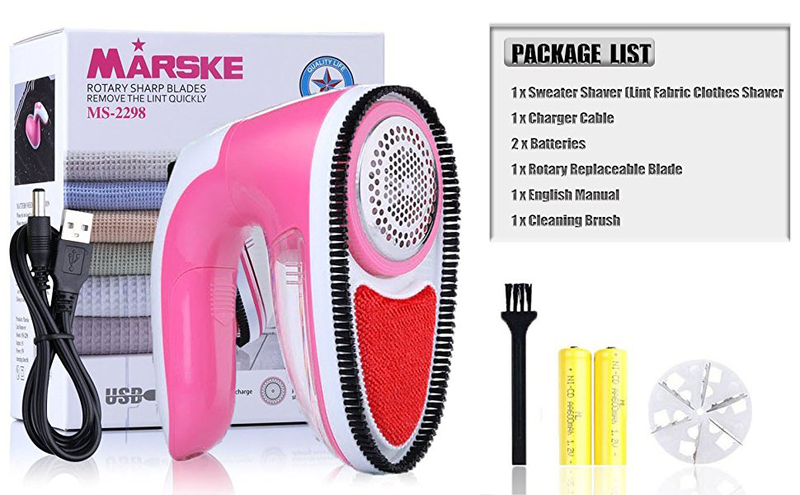 With the adsorption of the brush head to make clothes clean without lint! 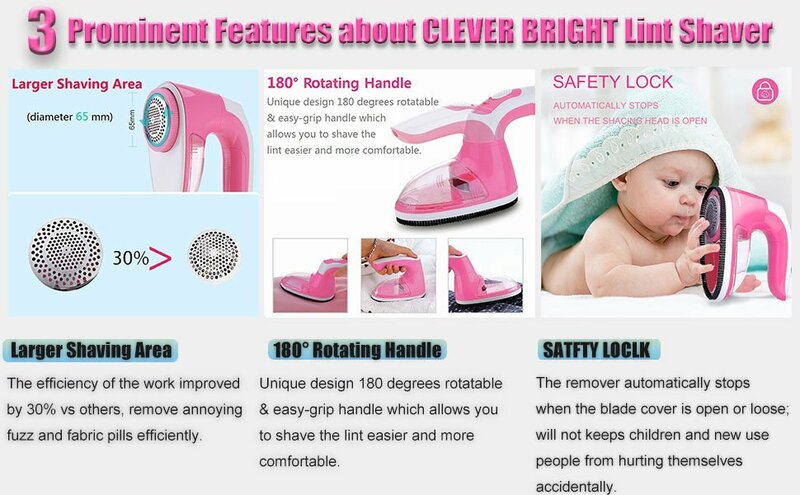 Just slide down to clean lint.This shaver is a must have for your family.Don't miss it! ◆ Stainless Steel Precision Rotary Blades & Grill with Shaving Head & Powerful 5w motor - Makes shaving quicker & easy. Free spare Blades. ◆ Super premium, high quality product that's ultra-safe to use. Why compromise on a cheaper, inferior fabric shaver and run the risk of damaging your delicate woollen, linen, cotton, lycra clothes & sweaters. The stainless-steel trimmer cap with big and small honeycomb holes are specially designed different size lint balls. With larger shaving area, remove annoying fuzz and fabric pills efficiently. "Finally, a sweater shaver safe to use on delicate fabrics including yourwool and cotton clothes. Easily remove pills and fuzz with each pass.When finished, emptying the lint compartment is easy. Can also be used on yourfurniture, blankets and rugs! Remove pills and lint from furniture with fabric. Easy be Used in Multi Type of Fabrics, and CLEVER BRIGHT LINT SHAVERS are Easy to Clean, too !!! A sweater shaver safe to use on delicate fabrics including your wool and cotton clothes. Easily remove pills and fuzz with each pass. When finished, emptying the lint compartment is easy. Can also be used on your furniture, blankets and rugs! Remove pills and lint from furniture with fabric. Push up the switch to open and then began to cut clothes. Spread clothes on table, use the machine on clothes and move slowly. To avoid broken clothes, be careful around places where fluff is tangle. Please fully charge the machine in first use. ● Switch off the machine. ● Use cleaning brush to clean machine net cover and the fluff balls store in the top of the machine. ● After cleaning, please replace the dust collecting box and the net cover back to the machine and secure safely.